A company founded by therapists who care. What sets Therapy Center apart is our strong commitment to providing the best service to our patients and education for our staff. We pride ourselves in maintaining open lines of communication with each facility we work with, supporting our therapists with extra help when caseloads are high, and treating each patient with compassion and clinical skills that are second to none. Therapy Center’s mission is simple: We are committed to getting people back to their normal daily lives. We accomplish this through a commitment to providing superior therapy services with dedication and compassion unsurpassed by anyone in the industry. We make a strong commitment of service to our patients and by providing education and mentoring opportunities for our staff and the facilities we work with. What sets us apart is our philosophy. Whether in a nursing home, outpatient clinic, home health, or hospital, we believe in working closely with each client to coordinate care and maintain open lines of communication. We weave ourselves into the fabric of every facility that we work with, becoming an integral part of the interdisciplinary treatment team. We provide an unsurpassed level of care, and we wouldn’t have it any other way! Shane is a co-founder of Therapy Center and has over nineteen years of experience and management in outpatient clinics, nursing home care, home heath, sports medicine, and acute and inpatient rehabilitation care. He graduated with a degree in Physical Therapy from The LSU Medical Center in Shreveport in 1996. Shane plays an integral role in the company’s business development efforts in both outpatient and nursing home settings and oversees operations of the Nursing Home division of the company. He is an active member of the American Physical Therapy Association – Geriatric Section and the Louisiana Physical Therapy Association. Steve brings more than seventeen years experience in healthcare management and outpatient, nursing home, home health, inpatient rehab, and skilled nursing facility care to Therapy Center. He earned his Occupational Therapy degree from the University of Pittsburgh in 1997 and his Masters of Business and Health Care Administration in 2001 from the University of Louisiana, Lafayette. Steve remains highly involved in contract procurement, business development, personnel management, financial management, and overall operations. Shannon graduated from LSU Medical Center in Shreveport in 1996 with a degree in Physical Therapy. He has over eighteen years of experience with nursing home care, home health care, acute care, outpatient therapy, management, and compliance education throughout all of our facilities in Southwest and Central Louisiana. Shannon oversees operations at the Lemoine Therapy Services branch of our company and is responsible for the strategy and oversite of Therapy Center’s outpatient and home health divisions. 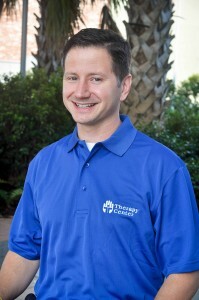 He is an active member of the American Physical Therapy Association and the Louisiana Physical Therapy Association. Stephen is co-founder of The Therapy Center and has served as a healthcare provider and healthcare executive since his graduation from LSU Medical Center in Shreveport, LA with a degree in Physical Therapy in 1996. His background includes more than 18 years experience on both the business and clinical sides of healthcare, including contract care (acute and inpatient rehab hospitals, home health, nursing home) and outpatient, sports medicine clinics. His involvement in business operations and development, marketing, and administration has been a key component to the success of The Therapy Center. Professionally, he is a member of APTA-PPS, LPTA, HFMA, NASL, and NARA. Stephen’s commitment to community involvement includes service as city councilman and president pro tem for the city of Jennings, LA and Finance Chairman of a local school board. He has also participated in presentations to members of both the U.S. Senate and U.S. House of Representatives. Julie serves as the Executive Vice President of Administration for Therapy Center. She graduated from McNeese State University with a Masters of Education and concentration in Health Promotion. Prior to joining Therapy Center in 2002, she worked in a both a Cardiac Rehab unit and in an education setting as a teacher. Currently, Julie oversees the administration and accounting departments of the Therapy Center including human resources, marketing, recruiting, payroll, and corporate strategy. She is passionate about keeping strong communication within the company to ensure that the needs of the company, employees, and outside agencies are met. Kristi graduated from Northwestern State University in Natchitoches in 2004 with a Bachelor of Science degree in Business Administration & Marketing. Kristi also earned a master’s in Business Administration from Louisiana State University at Shreveport in 2005. 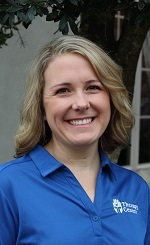 Kristi is responsible for new business development as well as physician relations for Therapy Center. She also develops and implements Therapy Center’s marketing plans for all business sectors. 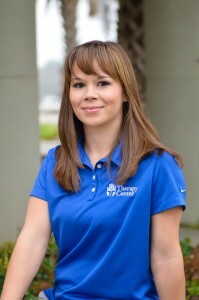 Ashley oversees the Therapy Center’s recruiting strategy and employee health and safety. She has been with Therapy Center since 2013. Prior to joining the team, she worked as a licensed practical nurse (LPN) in several settings including hospital and family practice medicine. Brent graduated from McNeese State University with a degree in Marketing. Prior joining the Therapy Center team in 2002, Brent served as the Executive Vice President and Chief Operating Officer at Jeff Davis Bank for 23 years. In his current role, Brent is responsible for setting the IT direction and coordinating infrastructure and service delivery across the company including user support, communications, and security. 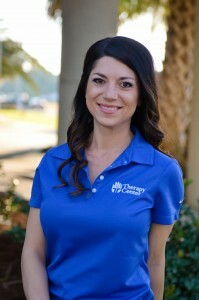 Ashley joined Therapy Center in 2006 and has served in a variety of roles for the company. Currently, Ashley is the Corporate Office Manager and oversees purchasing, inventory, accounts payable, accounts receivable, continuing education, and meeting coordination. She plays an integral role in the company’s daily operations and executive team support. Lance graduated from the University of Alberta in 1993 with a BSC in Rehabilitation Medicine, specializing in Occupational Therapy. 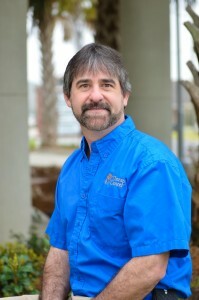 Lance started his career in Occupational Therapy in 1993 and has been in therapy management since 1996. Lance helps Therapy Center respond quickly to regulatory changes within Medicare to avoid the risk of reviews or denials. Lance also ensures that Therapy Center managers and field staff have the resources they need to excel in their job duties, keeping Therapy Center a leader in rehabilitation services. Danielle has been with Therapy Center since 2005. She received her bachelor’s degree from LSU in Baton Rouge and went on to receive her master’s degree in Occupational Therapy from University of Alabama at Birmingham. Danielle has worked in skilled nursing facilities her entire career as an Occupational Therapist, with a passion for Geriatrics. Danielle travels to each partner facility to assist with staff education and program development. Danielle is credentialed with a Geriatric Training Certification through the Geriatric Rehabilitation Education and Training Institute. She works hard to advocate for the profession and the Geriatric population. Amber received a Bachelor of Science in Kinesiology from LSU Baton Rouge in 2000, and a Bachelor of Science in Occupational Therapy from LSUHSC New Orleans in 2002. Amber began working for Therapy Center as an occupational therapist in 2003 and moved into the position of Mentor in 2008. She became a Director in 2015 and currently serves The Therapy Center in Operations and managing therapy departments in SNFs all over the state. Rachel graduated from UL Lafayette with a degree in Speech Language Pathology and has worked in nursing home care since 2002. Rachel has served as a Manager and Mentor for Therapy Center since 2008. Along with managing the therapy departments in our partner skilled nursing facilities, Rachel assists with recruiting therapists and oversees speech therapy staffing company-wide. Erica graduated from the University of Louisiana at Monroe in 2004 with a Bachelor of Science Degree in Occupational Therapy. Erica has been employed with Therapy Center since 2004 as an Occupational Therapist, has served as a Mentor in various areas of the company since 2008, and joined the Compliance Department in 2012. Erica currently serves Therapy Center in the Operations Department as well as oversees physical and occupational therapy staffing company-wide. Lauren graduated from LSU-Baton Rouge in 2002 and received her Masters in Occupational Therapy from LSUHSC-Shreveport in August of 2004. Lauren has been with Therapy Center since 2004, and has gained experience in outpatient, skilled nursing and home health settings. She has been a Mentor since 2009. Candice graduated from UL Lafayette with a degree in Speech Language Pathology and has 8 years experience in nursing home care. She has been with The Therapy Center since 2007. Candice has served as a Manager and Mentor for Therapy Center since 2012 in the Basile and Jennings areas. Sadie is a graduate of the University of Louisiana – Lafayette with a Masters in Speech Language Pathology and holds certifications with ASHA and LBESPA and is DPNS, E-Swallow certified. Sadie has been a mentor since 2016 and is currently responsible for our partner skilled nursing facilities in Natchitoches, Marksville, Center Point and Bunkie. Elisha graduated from McNeese State University in Early Childhood and Special Education. While attending college, she worked as a physical therapy technician, and after graduation taught special education for one year before returning to Jennings to work as Office Manager of the Jennings clinic. Elisha currently oversees the operations for Therapy Center outpatient clinic in Jennings and all contracts with home health and area hospitals. Jake is a life-long resident of Jennings and has been working as a Certified Athletic Trainer since 1998. Jake is a graduate of McNeese State University with a Bachelor degree in Exercise Science and a Masters in Exercise Physiology. 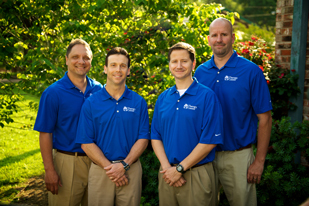 Currently, Jake is the Director of Sports Medicine and Clinic Manager of the Jennings clinic. In addition to specializing in sports medicine care in our local high schools, Jake oversees the operations of our Jennings clinic. Diana graduated from Central LA School of Massage in Pineville in 1998 as a Massage Therapist. 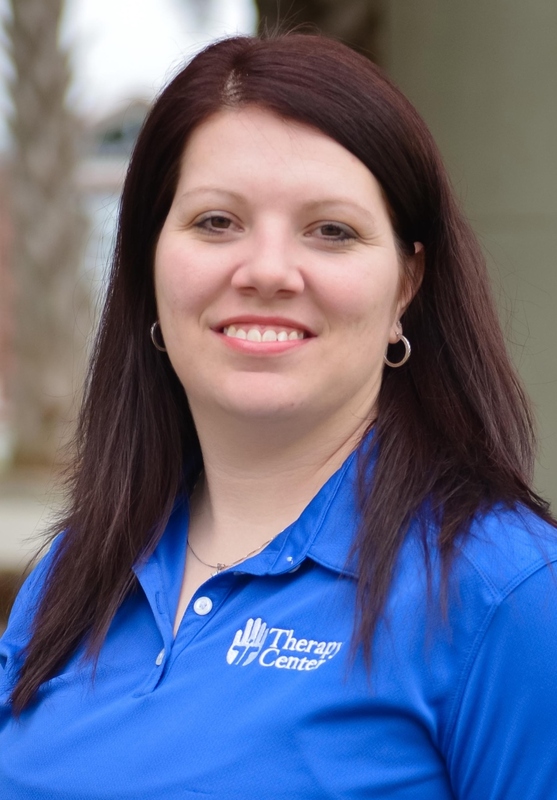 She began working with Therapy Center in 2005 as Clinic Manager for our outpatient clinics, Lemoine Therapy Services, in Mansura, LA and Alexandria, LA. 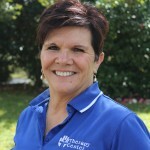 Jodi Landry started with the Therapy Center in 2003 after obtaining her certification as a physical therapy technician in 2002. Jodi began working in the outpatient and nursing home setting as a therapy tech. In 2008, she transitioned to the Therapy Center outpatient clinic in Jennings, as the Home Health Coordinator. Jodi is currently responsible for coordinating home health schedules as well as serving as the liaison between home health agencies and our treating therapists.